PAKISTAN: Despite frequent U-turns, devaluation of the Pakistan Rupee against US dollar, political uncertainty, excessive utility bills, etc, a large number of Pakistani people continue to pin hopes on Prime Minister Imran Khan’s leadership and believe he will steer the country’s economy out of troubled waters and put it in the right direction. 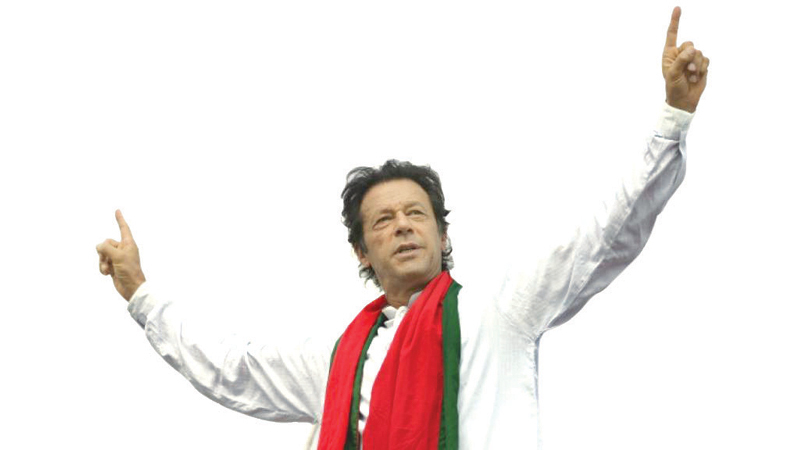 According to a survey conducted recently by a media group, it has been revealed that majority of the people in Islamabad, Rawalpindi and Lahore have regarded the ruling Pakistan Tehreek-e-Insaf (PTI) better than its two main rival parties — Pakistan Muslim League-Nawaz (PML-N) and the Pakistan People’s Party (PPP) — in terms of performance and transparency. According to the survey findings, 44 per cent people interviewed in the three cities spoke highly of Khan and his team and expressed positive views about him. Out of the people interviewed, 33 per cent said the promises made by the PTI before July 2018 elections are not being fulfilled, while 33 per cent hoped the dream shown by Khan will be soon realised as he is very much on it and means business. Last month, the rime minister said he was taking briefings on the country’s economy and projects such as China Pakistan Economic Corridor and that he had taken only one leave in four months. In Rawalpindi, out of those interviewed, 51 per cent said Khan was going in right direction, 25 per cent said no he was not implementing the party manifesto and 24 per cent showed some glimmering of hope. Islamabad’s residents overwhelmingly supported Khan’s policies, with 63 per cent voting for him, 23 per cent against him and 14 per cent said they hoped he would deliver on his promises. Lahore, traditionally a stronghold of the PML-N, did not agree with Islamabad and Rawalpindi as only 24 per cent of the public spoke in the prime minister’s favour, 50 per cent said he had forgotten his promises and 26 per cent were of the views that Imran Khan should be given time to work for welfare of the people and progress of the country. While talking to Gulf News, a number of analysts and political commentators viewed that Khan’s charm was working on the public. According to Munir Ahmad, a social worker and director of think tank Development Communication Network (DevCom), Khan and his team should take these findings of the survey as a chance given by the people to the government to do some good. “PTI government should not let things go out of hands and check the high prices, inflated utility bills and the dollar’s flight against Rupee so that people could not feel betrayed,” said Ahmad. In November last year, too, a survey conducted by a private group had revealed that 51 per cent of respondents were satisfied with the 100-day performance of Prime Minister Imran Khan’s government.